Weegee steal's your soul and you are his slave. 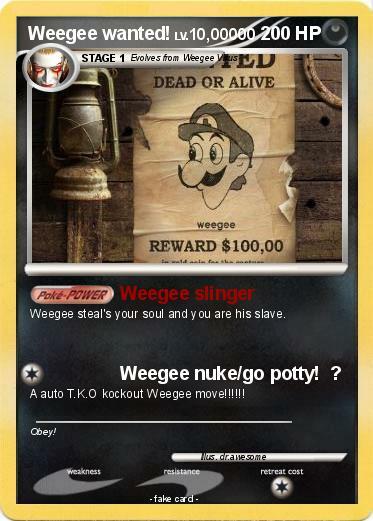 Attack 2 : Weegee nuke/go potty! ? A auto T.K.O kockout Weegee move!!!!! !